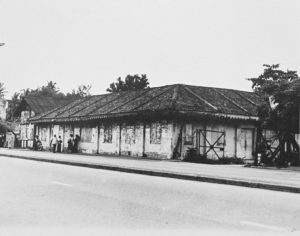 During the Japanese occupation of Malaya, the college was known as ‘Shihan Gakko’ then at its High Street (now Jalan Bandar) premises. It was headed by Mr. Arimoto and assisted by Mr. N.A.K Nair who later became its principal. After the liberation, the College was reopened on September 16, 1946 and the plan to build a completely new Technical College was resumed. The British Government allocated fund for capital costs of building and equipping the College. The Technical College was eventually completed and was officially opened on March 1, 1955 by Sir Donald MacGillivray, the then British High Commissioner to Malaya. In the early years, the Technical College conducted engineering course at diploma level in Civil Engineering, Mechanical Engineering, Electrical and Radio Engineering, Land Surveying, Building Architecture and Quality Surveying, while a special in Automobile Engineering was offered for the transportation enforcement officers. The total enrolment for 1958/1959 academic session was 320 student. In 1960, the College began a new era by upgrading its engineering courses to the degree level. Student following course at the college had the opportunities to sit for professional examinations conducted by the Institution of Civil Engineers and Institution of Mechanical Engineers, United Kingdom & the Royal Institute of British Architects, as well as the Royal Institute of Chartered Surveyors. Students for these professional courses were drawn for in service government servants for the Federation of Malaya Singapore, Borneo and Brunei. Minimum entry requirements then were Grade I & II in the Cambridge School Certificate or the Malayan School Certificate with credits in English Language & Basic Mathematics. Priorities were given to those who obtained credits in Science subjects. By the 1965/1966 academic session, there were 682 full-time students studying at the Technical College. The increase in the enrolment was a direct result of the shift in the government’s policy which gave more emphasis on technology-oriented industries in order to develop the growing economy. Subsequent to this change, demands for trained human resources in the technical fields rose remarkably. With the rapid economic expansion, Technical College became the popular choice for further education, well supported by its many modern & improved teaching facilities. For the year 1969 admission, the college received an overwhelming 1,300 entry applications when it could only accept about 280 students. By that time, the total enrolment of full-time students at the Technical College numbered at 872 students. A committee was formed by the Ministry of Education in early 1971 to study the feasibility of upgrading Technical College into a university. The committee recommended the formation of a technological University using Bahasa Melayu as the medium of instruction. 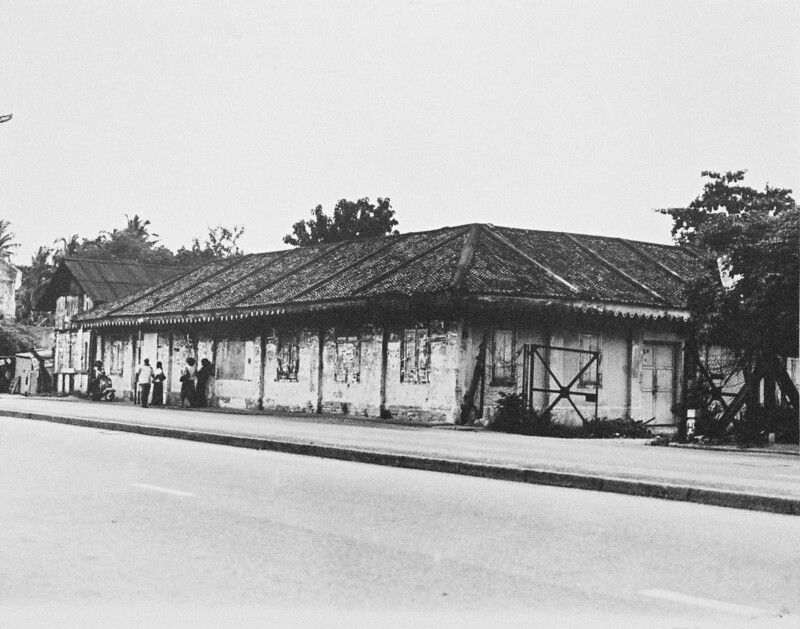 On March 14, 1972, Malaysia’s Supreme Ruler, DYMM Seri Paduka Baginda Yang Dipertuan Agong officially proclaimed the formation of Institut Teknologi Kebangsaan (ITK) under section 6(1) of the University & University College Act 1971. This new institution inherited all the basic amenities & facilities of the former Technical College of Gurney Road. Mr. Ainuddin Abdul Wahid who was the principal of Technical College was made the first Rector of ITK. An interim Council consisting of nine members was formed & tasked to draw major policies to be implemented in the new establishment. Three key administrative positions were also formalized: the Registrar, the Bursar & the Chief Librarian. ITK had three main faculties: Engineering, Architecture & Surveying plus a Centre for Science & Humanities. Each faculty was led by a Dean, while the Rector himself chaired the Science & Humanities Centre. The engineering faculty was the biggest, consisting of three main departments of civil, mechanical & electrical engineering. The Centre for Science & Humanities hosted three department: Physics, Chemistry & Mathematics. The Humanities section, however, was separated from the Centre on July 1, 1973. For the 1972/1973 academic year, ITK had 130 administrative staff, 61 academic staff with additional 37 part-time lecturers, & a total enrolment of 1,467 full-time students. ITK went through tremendous changes & on April 1, 1975, the Institute reached another milestone in its history when it was officially declared as Universiti Teknologi Malaysia (UTM). The Rector’s position was upgraded to a Vice-Chancellor position, & a Deputy Vice-Chancellor responsible for students’ affairs was also appointed to look after the demands & welfare of the increasing students population. In 1976, the government approved the new University’s Constitution & the University’s Senate & Council were established. In line with the changing status, the University began focusing on the establishment & development of its academic faculties. As of 1975/1976 academic year, the Faculty of Engineering split into three independent faculties of Civil, Mechanical & Electrical Engineering Faculties. 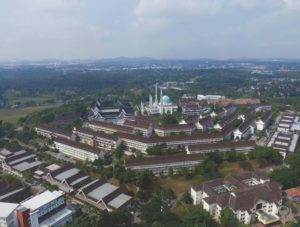 These three engineering faculties together with Faculty of Built Environment and Faculty of Surveying, plus the Centre for Science for Science Students and Centre for Humanities Students became the precursors of most academic programmes in UTM today. By 1976, the total student population had reached 2,593 with 1,745 pursing diploma level studies, 607 in the degree programmes, & 241 in the integrated programmes. 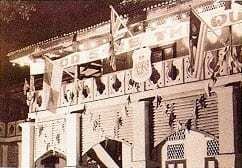 On December 3, 1977, UTM witnessed its first group of 65 graduates being conferred their degrees in the inaugural convocation ceremony in Kuala Lumpur, graced by the Royal Highness Almarhum Sultan Ismail Ibni Almarhum Sultan Ibrahim, the first Chancellor of UTM. As the years progressed, several more new faculties were established: the Centre for Science Studies was upgraded to become the Faculty of Science in June 1981; the Science Studies was upgraded to become the Faculty of Science in June 1981; the department of Petroleum & Natural Gas of the Faculty of Mechanical Engineering was weaned off to become the Faculty of Chemical & Natural Resources Engineering in March 1983, & the Institute of Computer Science which was formerly under the wings of Faculty of Science was officially upgraded to a faculty status in 1984. The establishment of new faculties also meant new academic programmes, increasing student & staff populations, plus added demands for facilities. This accelerated physical expansion & development had resulted in a crammed situation in Jalan Gurney campus that it could no longer accommodate additional amenities & building. 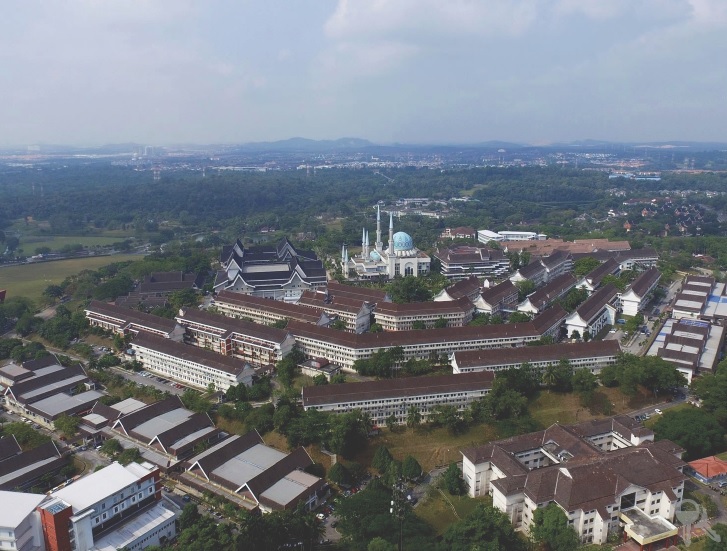 Through the gracious assent of His Majesty Almarhum Sultan Ismail Ibni Almarhum Sultan Ibrahim, then Sultan of Johor, the University meticulously planned its move to a new campus located on a sprawling 2,400 acres of land in Skudai, Johor. 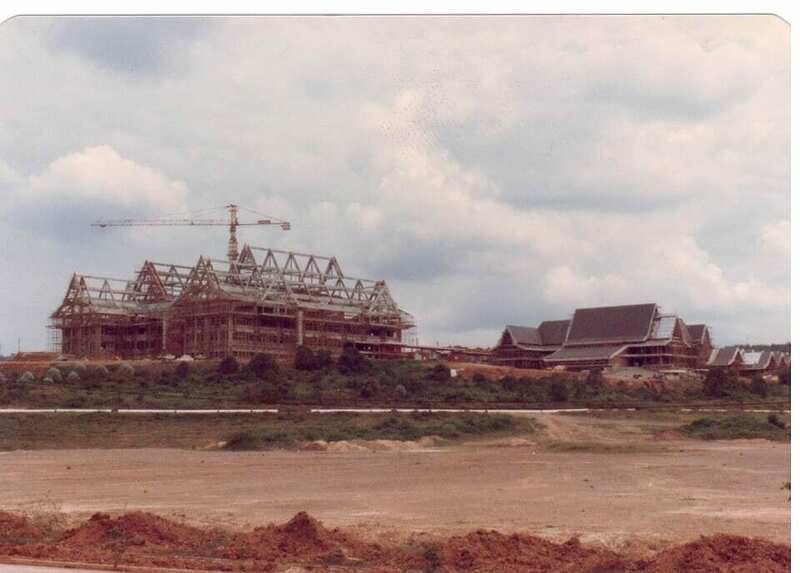 Construction works had actually begun steadily since as early as 1978. The RM1 billion new campus was officially opened on September 16, 1985 by His Majesty Sultan Iskandar Ibni Almarhum Sultan Ismail, then the Yang di Pertuan Agong, in his capacity as his capacity as the second Chancellor of UTM. The lush green land of Skudai campus proves to be truly fertile grounds for it further inspired UTM to continue. More new faculties were formalized: the Centre for Humanities Studies gained a new status as a faculty in January 1991 & renamed itself as the Faculty of Management & Human Resource Development. The Department of Islamic Studies which had been under the Humanities Centre also became a separate entity & now known as the Centre for Islamic Studies and Social Development. Faculty of Education was established in January 1994. In addition to these new establishments, other faculties also continue to further expand their academic programmes for both undergraduate and post-graduate degrees, as well as set up various centers of excellence for research & teaching purposes. Clearly, through inheritance, the history of education in UTM has surpassed its one-hundredth year. Although these one hundred years have been beset with difficulties & challenges, especially in the early years, UTM has stood its ground. The resoluteness of its leaders has opened doors to progress & maturity, & has created reputation that is enviable by many. Through dedication & hard work of its staff, UTM has gained international recognitions in the fields of science & technology. Its scholars & students have never failed to score & to create names for themselves, the university, & the country wherever they go. Indeed, UTM has been & shall always be, synonymous with the progress & development of science & technology in Malaysia.